" I have revealed the system I've used to generate over 2 Million in Wholesaler fees in under 2 years. Now I want YOU to close more motivated sellers, for less money and CRUSH your competition. 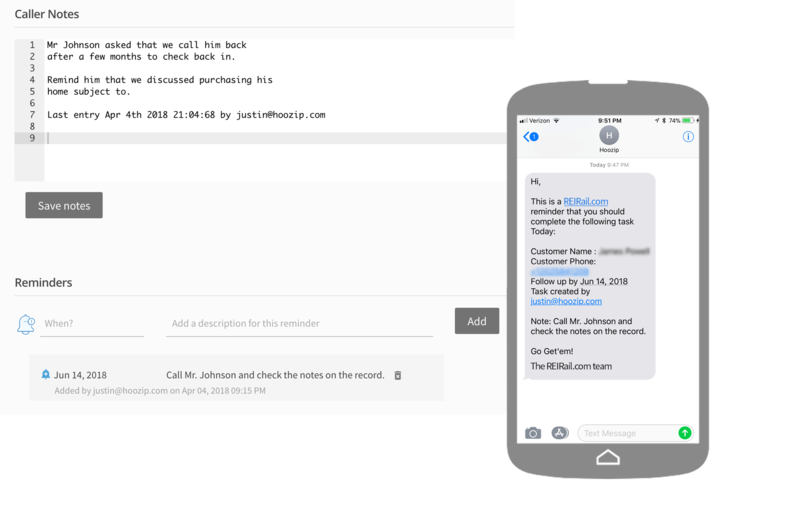 You're just one deal away "
Our users close 3 to 5 times more deals than any other RVM, Cold Calling, or Call Tracking software. Heard of Skip Trace? REIRail uses its proprietary Deep Trace™ technology to tell you who 's calling before your phone rings. This ain't your Momma's Skip Trace! 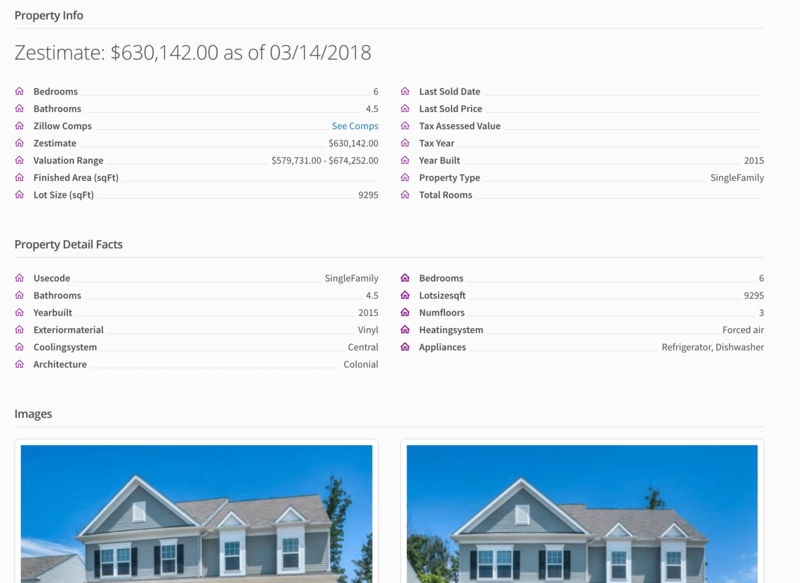 Instantly, you' ll know everything about the caller and the property you 're interested in so you can have the best information possible to close the deal and NEVER fumble the call again. 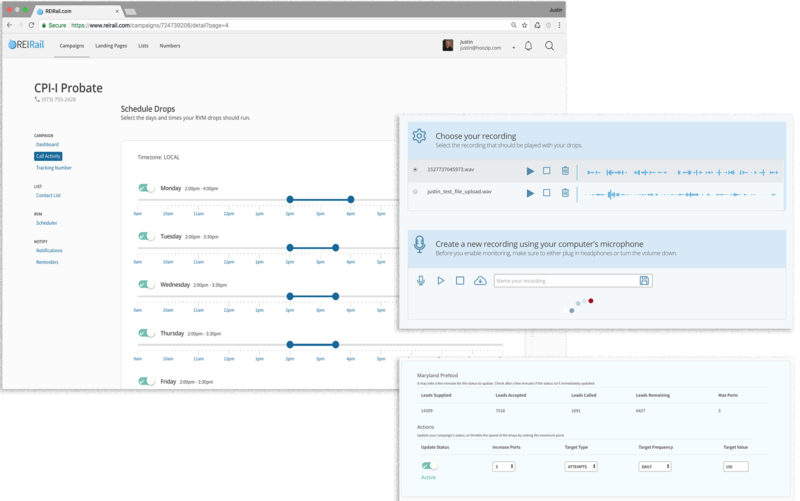 RVM - Voicemail Drop System. 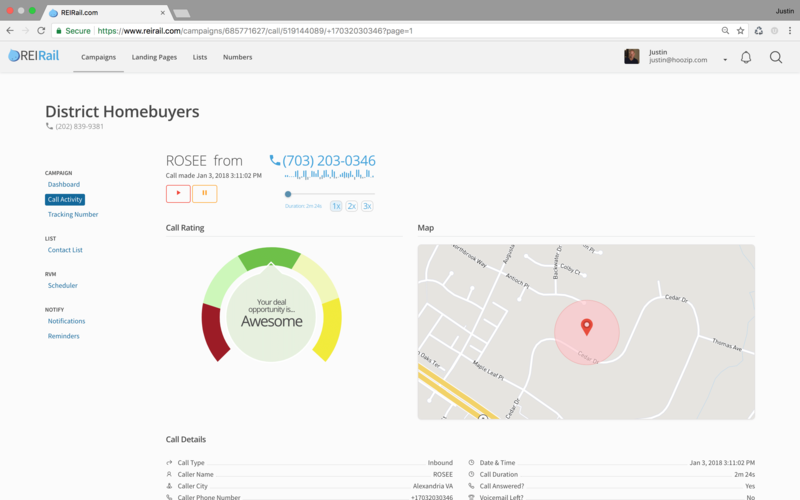 Our ringless voicemail system is the easiest and most powerful voicemail drop system the real estate industry has ever seen. You're busy, and we want you to CRUSH it. So spend your time responding to and closing prospects the system finds for you. Not the other way around. in 5 Minutes or less. You'll gain access to the FASTEST, EASIEST, COMPLETE, and ACCURATE Bulk Skip Tracing Engine in the industry. No other site offers skip tracing as complete and fast as REIRail. This is the MOST ADVANCED SKIP TRACE ENGINE. PERIOD. No templates to hassle with, results in minutes. Start dropping your lists in minutes, not days. 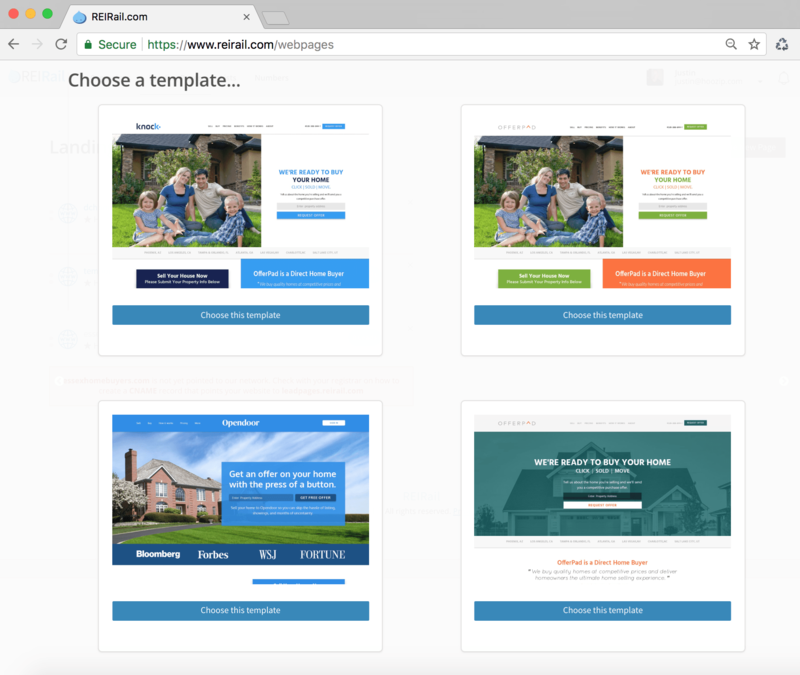 Landing Pages with a Brain. We've included Done-For-You designs used by Max. 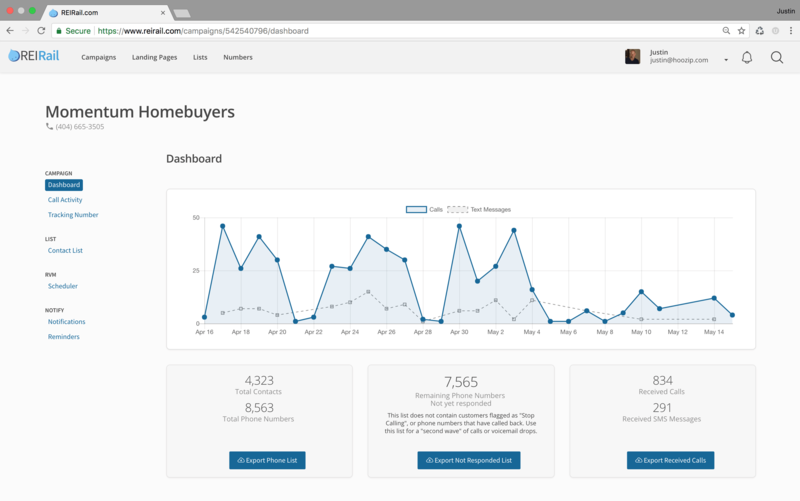 Our landing pages come with analytics, artificial intelligence , property data and skip tracing when a seller leaves a lead. You only need an address from them, and REIRail takes care of the rest. SEO and PPC are built in too, so you won 't need to make any updates to our templates. And if you do, our easy page builder requires no training or coding. Oh, and you get that green bar that says "https" instantly, and for free. Google LOVES pages generated with REIRail. No list is too small, and no list is too big. And if you hate merging and combining lists in Excel like we did, well we've got you covered. Just merge your lists in REIRail and we'll make them look the same using our dead simple mapping tool. 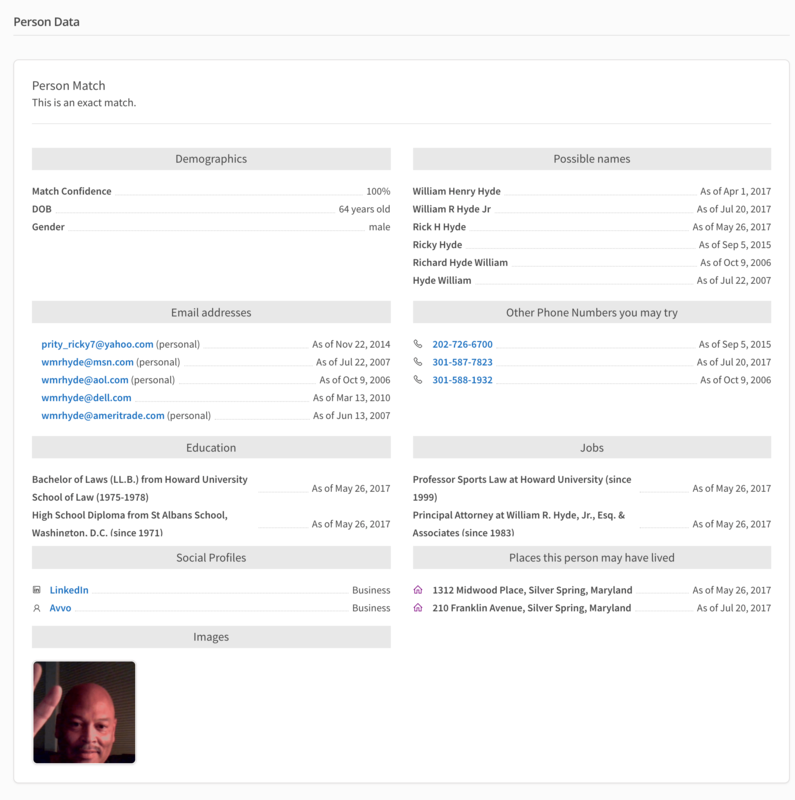 Manage all of the communication with your prospects from one central location. 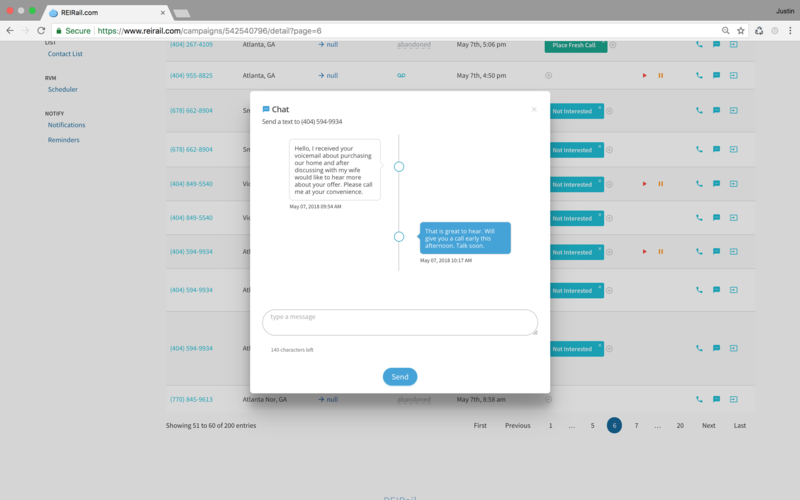 SMS , Call Tracking , or Web - you'll easily reach your prospects and convert them with more confidence. 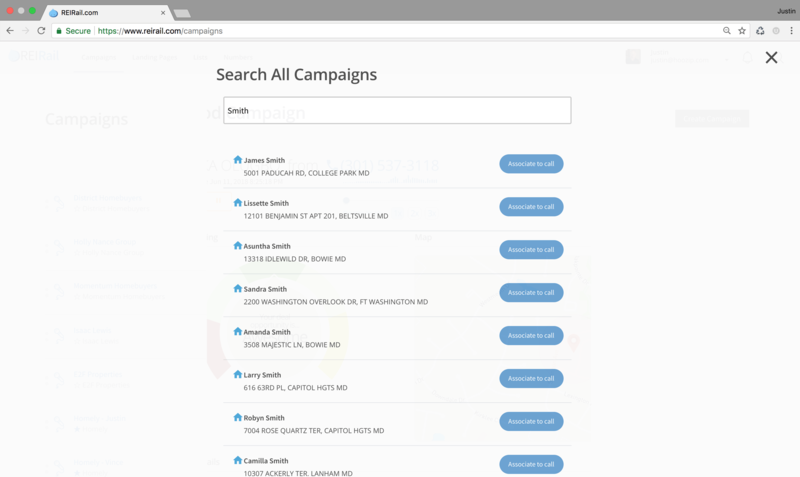 Keep track of your activity through beautiful dashboards and know which campaigns are working. 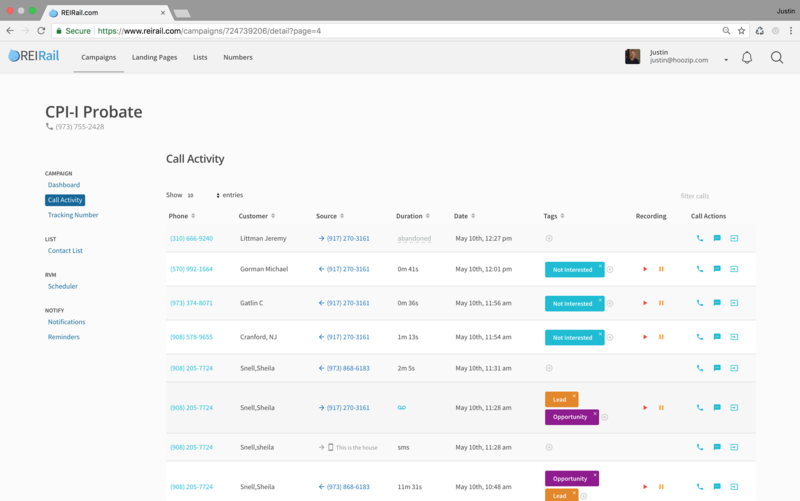 REIRail provides tracking phone numbers so you can easily track, manage and record all of your calls so you and your team can review your leads, follow up, and refine your marketing strategies . Follow Up like a Champ. Never worry about following up again and never lose a deal again because you didn't. Easily set reminders in the system and REIRail will text you and email you leading up to the reminder, and the day of the reminder. REIRail uses advanced "self learning" technology to understand your callers, and all of the callers of investors across our platform.By leveraging the insights of millions of calls, our artificial intelligence algorithms will hand pick the best deals for you . Finding your contacts has never been easier.Upload all of your contacts and easily search them and what properties they 're attached to. 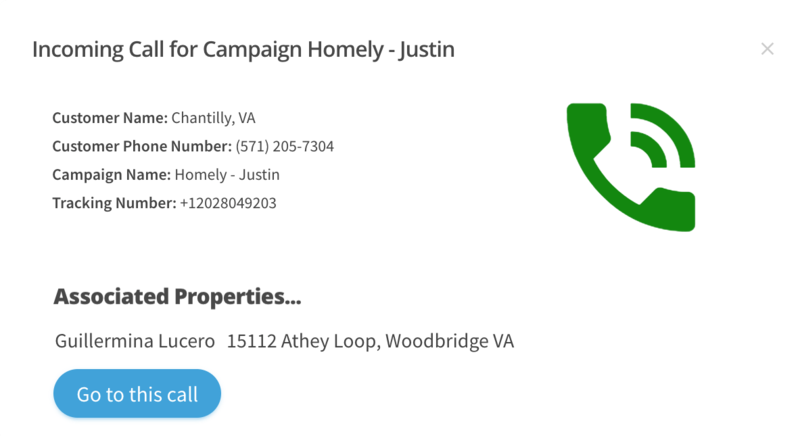 Easily associate callers not in your list with a property or customer record. It' s like caller ID and Voicemail with a personal assistant attached. Our rich property data database has millions of homes across the United States. 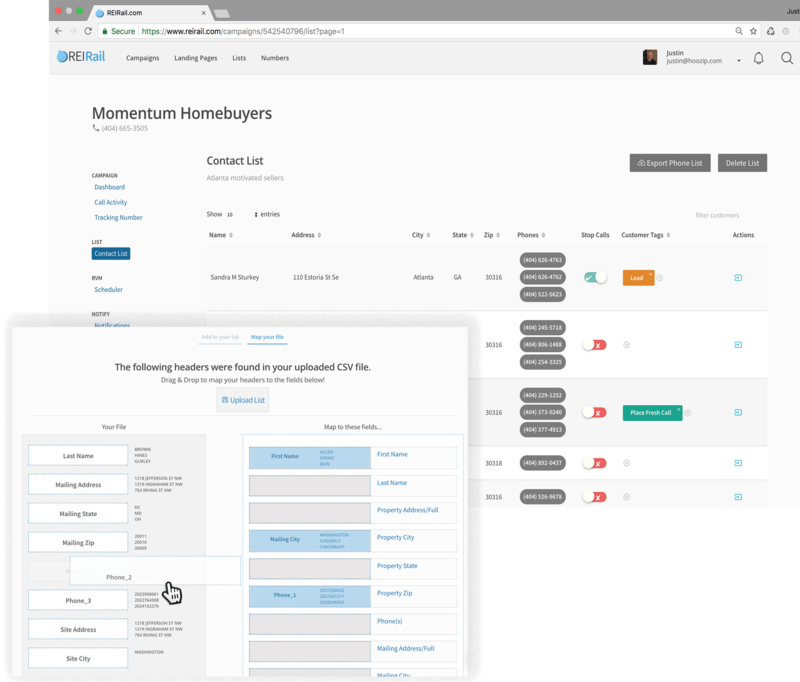 Anytime a caller calls into your REIRail account, or a web lead comes into one of your landing pages, you'll get the latest property information dynamically attached. 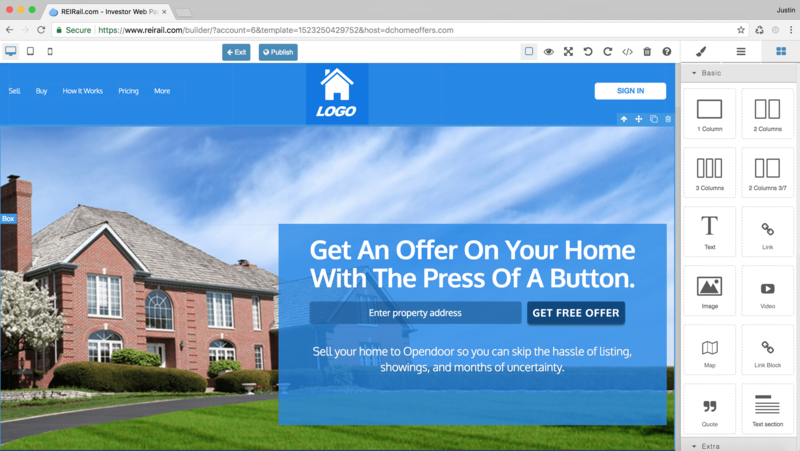 You' ll never have to look up property info again while trying to close a lead. We 'll be releasing new designs weekly to our design library. You can easily swap the entire look of your website in one click and test which designs perform the best for you. We know you want a unique look, so our designers will continually add proven, high converting landing pages to the design library. 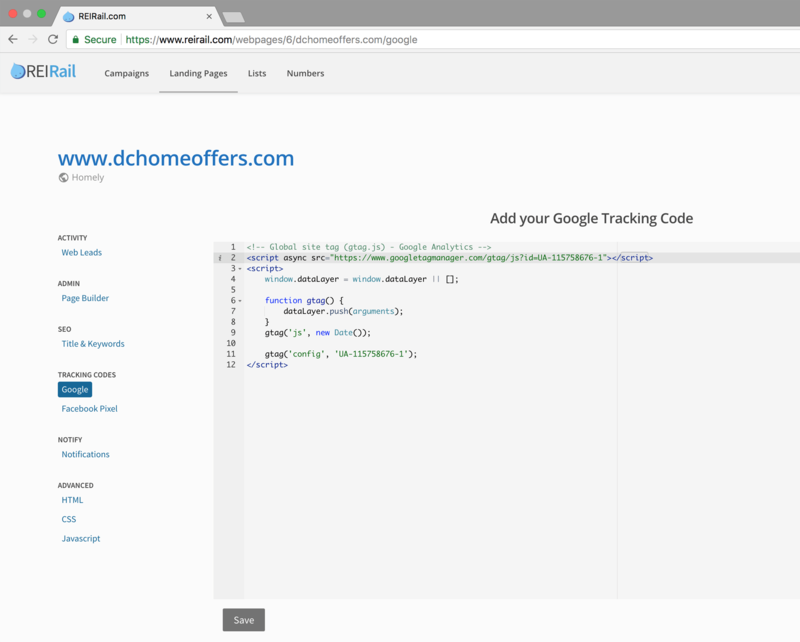 Our editor also allows for easy cutting and pasting of your Google Tracking codes and Facebook Pixels .You won 't need to hunt around and figure out where it goes. We want to make it as easy as possible for you to begin your PPC and Facebook audience campaigns . If you need advanced marketing services like this, just call us.We have a staff of digital marketing specialists standing by to help you.